Description: FAX, TIF, PDF, EPS, PS, AI, DCX viewer, editor and converter, offers you a full solution for viewing, editing, printing, saving, converting. Able Fax Tif View can convert one- and multipage files to standard TIFF/FAX format, jpeg, png, bmp, pcx, gif, dib, rle, tga, pdf, ps, eps and more. Able Fax Tif View can edit loaded images - extract, move, insert, delete, rotate, flip, invert pages, remove noise, deskewing image, color adjust, add margins. Description: Ace Photo Frame is a easy-to-use software which helps you to enhance your digital photo with frame,clipart and extra message.Provided with it, you have a effectual way to turn your photo into original and impressive creations. Description: Multi-Page TIFF Editor is a complete solution for creating, viewing, editing and converting multi-page TIFF files. This TIFF editor allows to insert, edit, extract or remove pages of TIFF document. Plus, with help of "Multi-Page TIFF Editor" you can create, edit or delete annotations (notes in the form of text, highlighted area etc.) on any page of your multipage TIFF document. 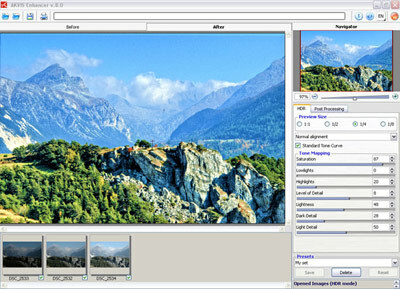 Description: Adobe Photoshop CS3 Extended includes key new capabilities that let you incorporate 3D and motion-based content into your image editing workflow. Now you can render 3D content into your 2D composites, edit existing textures on 3D models, and embed your edited models in Adobe PDF files for easy collaboration with colleagues. Nondestructive editing, Filters, raw-image processing, 3D compositing and texture editing, Enhanced Vanishing Point with 3D. 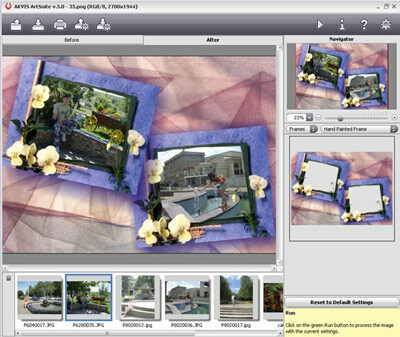 Description: ArtSuite is an impressing collection of versatile effects for decoration of photos. Decorate a photo to give it an original and festive look! You may need it on many occasions: when creating a postcard for your friends, making a holiday album, a personalized desktop wallpaper, or just playing with your images for art's sake. The software offers over 17 groups of effects and vast library that allow creating an endless number of effect versions. Description: The plugin allows changing the surface of an object in a realistic manner. For instance, a dress on a girl can be painted in patterns, dotted or chequered, appear as if made of velvet or satin, or even of wood or candies. With this software you can quickly choose a suitable design for your apartment by playing with different patterns for the interior. The plugin follows the texture that already exists and makes the new color/texture look natural.